Summary: In January, Freakwater (sans Dave Gay) play 20 European dates, and a benefit for Chicago music fixture Gary Schepers the following month. 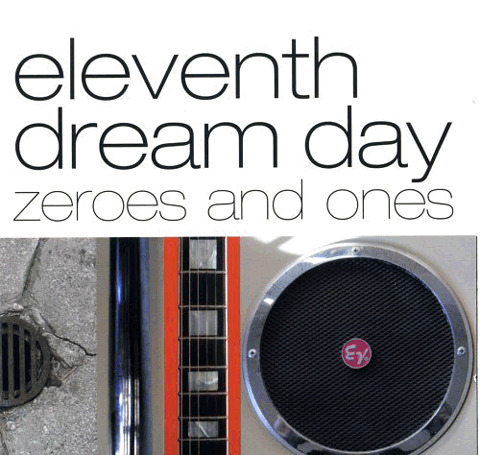 In April, Eleventh Dream Day release Zeroes and Ones, and play four shows to support it. In May, Catherine opens for Neko Case during her European tour. Neko Case and Jolie Holland continue to support Freakwater during their own gigging. In October, Freakwater perform at the Hardly Strictly Bluegrass Festival in San Francisco and the Hideout in Chicago. Janet contributes a track to Bloodshot Record's Old Town School of Folk Music Songbook: Volume One, which is released in October. 2006.01.21 The Horse's Ha (Janet Bean and Jim Elkington) open for Freakwater at Cafe Clocksee (pictured) in Hannover, Germany, 21 January 2006. They closed with this song (not sure of the song's exact name, actually), with Catherine Irwin joining in. It is beautiful. 2006.02.26 Freakwater play a benefit for musician Gary Schepers at the Hideout, Chicago. 2006.02.28 Jolie Holland covers Catherine Irwin at her show the Great American Music Hall, San Francisco. 2006.06.26 Neko Case plays Catherine Irwin's "Hex" as a regular part of her set, including this show, at Suede in Park City, Utah. Neko nobly namedrops Catherine and Freakwater. 2006.10.08 Freakwater plays the Hardly Strictly Bluegrass Festival in San Francisco. 2006.10.14 Freakwater plays the Hideout, Chicago.